Located in the 1880’s Gloucester Safe Deposit and Trust building, the Trident Gallery shows beautiful and intelligent contemporary art in all mediums, emphasizing the work of artists continuing Gloucester’s rich legacy as a center for new American Art. Every five weeks, the Gallery presents a new exhibition of contemporary art, curated by Director Dr. Matthew Swift, in a rich context of written commentary and public discussion. 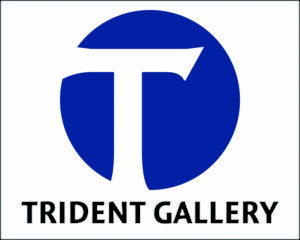 The Trident Live Art Series presents performances by seasoned professionals showing experimental and collaborative work in the intimate salon setting of the gallery.